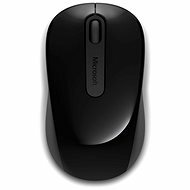 The Lenovo ThinkPad Precision Wireless Mouse is an Optical Mouse made by a proven manufacturer. The elegant design and classic black color make this piece a unique addition to your PC or laptop. Fast processing and quality materials will increase your performance and user experience during prolonged use. The new optical sensor ensures complete accuracy that can be set up to 1200 dpi. The scroll wheel helps you scroll through long documents, but is also useful for entertainment or surfing websites. The wheel also tilts sideways. A Mini USB receiver ensures a high level signal and a pair of AA batteries will supply the needed juice for the full nine months. 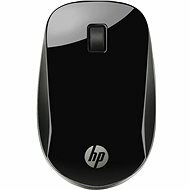 A very careful and thoughtful design makes sure this mouse fits in the palm of both right-handed and left-handed users. Suitable for left-handed people Done! Lenovo is the world's largest computer maker, founded in 1984. Its original name was Legend. Later it was renamed to Legend Novo ("New Legend"), abbreviated Lenovo. In 2005 it took over IBM's computer division, which was among the largest computer makers in the world. It is similarly ambitious in the field of mobile phones, where it would like to surpass Apple and Samsung. As far as this goal goes, they acquired Motorola’s mobile division in January 2014 and have been ramping up production since. The company also produces tablets, monitors, televisions, and storage solutions. Overall, they are known for delivering quality products at reasonable prices. For shipping to other EU countries visit this page Lenovo ThinkPad Precision Wireless Mouse Graphite Black. Für Versand nach Deutschland, besuchen Sie bitte ThinkPad Precision Wireless Maus Graphite Black. Chcete doručit zboží do Česka? 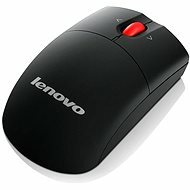 Prohlédněte si Lenovo ThinkPad Precision Wireless Mouse Graphite Black. Chcete doručiť tovar na Slovensko? Prezrite si Lenovo ThinkPad Precision Wireless Mouse Graphite Black. Für Versand nach Österreich, besuchen Sie bitte ThinkPad Precision Wireless Maus Graphite Black. Magyarországra történő kiszállításért tekintse meg ezt a termékoldalt: Lenovo ThinkPad Precision Vezeték nélküli egér grafitszürke.